Q: Why do organisms need cognition? A: To get information about their environments. A: Because organisms need to guide their behaviors to goals. A: Because it leads to goal satisfaction. Cognition is a naturally selected response by genetic programs to the evolutionary pressure of guiding behaviors to goals. Organisms are material systems that maintain and replicate themselves by engaging their world in goal-directed ways. 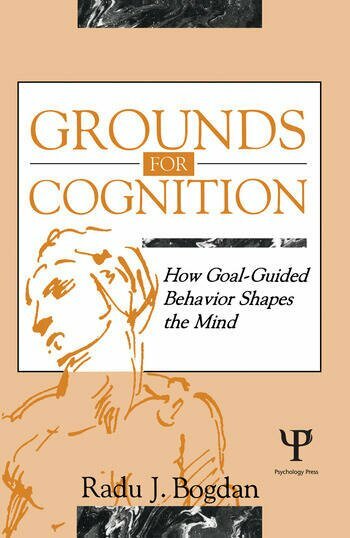 This is how guidance of behavior to goal grounds and explains cognition and the main forms in which it manages information. Guidance to goal also makes a difference to the understanding of human cognition. Simpler forms of cognition evolve to handle fixed informational transactions with the world, whereas human cognition evolves the abilities to script flexible goal situations that fit specific contexts of behavior. This teleoevolutionary approach has important implications for cognitive science, two of which are programmatic. One is that information that guides to goal is not exclusively cognitive; guidance is also affected by ecological facts and regularities as well as by design assumptions about them. The other implication is that the functional analyses dominant in cognitive science and philosophy of mind are incomplete and weak. They are incomplete in that they focus only on the explicitly encoded cognitive information and its behavioral consequences, thus ignoring the larger guidance arrangements; and weak because causal and functional relations implement but underdetermine goal-directed and goal-guided procesess. A work dealing expressly with the foundations of cognitive science, this book addresses basic but seldom-asked questions about the evolutionary rationale of cognition and the way this rationale has shaped the major types of cognition. It also provides a teleological answer to these basic questions in terms of goal directedness and particularly guidance of behavior to goal. In so doing, the work defends the scientific respectability and the explanatory necessity of teleology by showing that goal directedness characterizes the work of genetic programs. Contents: The Project. Part I: The Teleoevolutionary Stance. By Way of Means and Ends. The Guidance Equation. Part II: Forms of Guidance. Teleonomic Guidance. Primitive Semantics. Intimations of Re-presentation: Vision. Mental Guidance. Social Guidance. Part III: Implications. Psychosemanticism. Prospects for Explanation.